My web page is also the title of the book I have been working on for the past 40 years. The project began in 1974 when the Baltimore Board of Rabbis, Conservative and Reform, invited me to teach its area-wide Introduction to Judaism class for people contemplating conversion to Judaism or who were romantically involved although not contemplating conversion with a Jewish person. The course also welcomed Jews who felt their previous Jewish education was lacking. While teaching this class I found many adequate resources that explained the Holy Days and Festivals of Judaism and the various events of the Jewish life cycle. What I found lacking was a sufficiently concise and lucid presentation of the essential religious ideas that emanate from biblical narratives. I filled that gap through my book, WHAT’S IN IT FOR ME: Finding Ourselves in Biblical Narratives. Further incentive to prepare this volume came in the late 70s when the Lutheran Theological Seminary of Philadelphia invited me to teach an Introduction to Jewish Life and Thought course to students preparing to become Lutheran pastors. 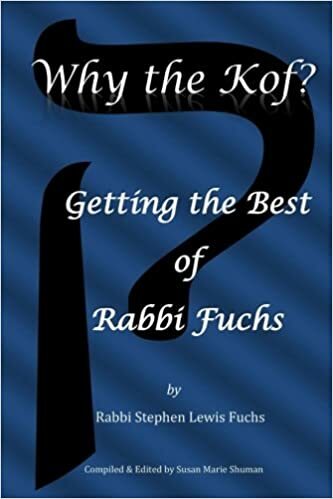 When I was granted a sabbatical from my position as the first full-time rabbi of Temple Isaiah in Columbia, Maryland, my family and I lived in Jerusalem where I worked on this book in a more concentrated manner. In 1988, while serving as Sr. Rabbi of The Temple, Congregation Ohabai Sholom in Nashville, TN, I began a 4-year part-time course of study at Vanderbilt University Divinity School leading to a Doctor of Ministry degree concentrating on biblical interpretation. My D.Min. Dissertation was a text for the ceremony of Confirmation with a creative liturgy based on the text. 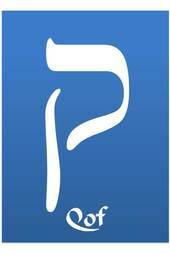 The service takes the congregation on a spiritual journey from creation to the revelation of Torah at Mount Sinai. The bulk of the dissertation was a thoroughly reworked and revised version of the text I had begun in 1974. Since then I have continued to review and revise my text and used it for classes I have taught at Hartford Seminary and St Joseph College in West Hartford, CT. I have also presented it as gifts for comment and critique at several Institutes for Christian Clergy that I have conducted over the years. And now, after yet more revisions I am ready to offer it to non-fundamentalists eager to see how the narrative portions of the Torah relate directly to our lives today. My blog on this site will sometimes relate directly to the book and sometimes to other issues I find – and think you will find – of interest. Anna, I am so grateful to you for your comment and for offering to translate my work into Italian! i think you are a brilliant man! Thank you so much, Jackie. I hope you will read and comment on the book when it comes out! Congratulations on the book. It is the culmination of a your Rabbinate. Rob, thanks so much for visiting Rob! I so appreciate your comment and hope the book will find an interested readership! The only thing I’d add is the murder of 19-year-old Shelly Dadon by Arab taxi driver. Thank you for a thoughtful post. And thank you so much for your response! I appreciate your contacting me! I just finished and thoroughly enjoyed your essay on “Circumcision.” It was both illuminating and uplifting. Thanks for your insights. I look forward to exploring your other essays in the weeks ahead. Thank you very much, Rabbi Stern. I was on the religious school faculty of Beth Shalom in Santa Ana when I began my rabbinical studies long ago at HUC-LA I wish you and your community health and joy in the year ahead!